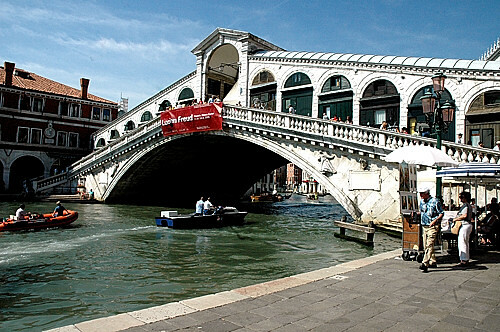 This is a unique Venice honeymoon package for lovers in two of the most romantic Italian destinations! William Shakespeare made Verona the ideal set for the oldest love story ever known, “Romeo and Juliet”. Whether these two young romantic figures ever existed is still a mystery, nevertheless, Verona remains the perfect setting for this agonizing romance. Do not miss a visit to Juliet’s house with its famous balcony. Take a walk along the Adige River, view the stupendous buildings, navigate the narrow medieval streets or take in a musical show in the Arena, the largest Roman monument outside of Rome. Verona will provide the perfect romantic setting for a unique and unforgettable honeymoon experience. With it’s canals, gondolas, small narrow streets, where you can pretend to get lost, Venice has always been one of the most romantic of Italian cities. Add the spectacular Piazza San Marco, the Doge Palace, the Basilica of St. Mark’s, the mix of architectural styles from Byzantine to Arabic, from Chinese to Mediterranean styles, Venice is uniquely Venice, beautifully romantic, inviting, melancholic, fascinating, attractive, the perfect setting for your personal romantic love story. This is a unique honeymoon experience in two of the most romantic Italian destination. Early check-in and late check-out 11 a.m. till 3 p.m.
* Seasonal air and land supplements apply. Please, feel free to ask for details at time of booking. Additional supplements and restrictions may apply over local holidays. Package prices are subject to change without notice. Please, request airfare updated price before making the final payment. Prices are per person, sharing a room.